After years of plain skinny jeans taking over everything, the fashion world has finally been having some fun with denim the past few seasons. Throwbacks like high-waist mom jeans, flared denim, and wide-leg pants have come back into style. Comfy boyfriend jeans and trendy destroyed jeans have been huge. 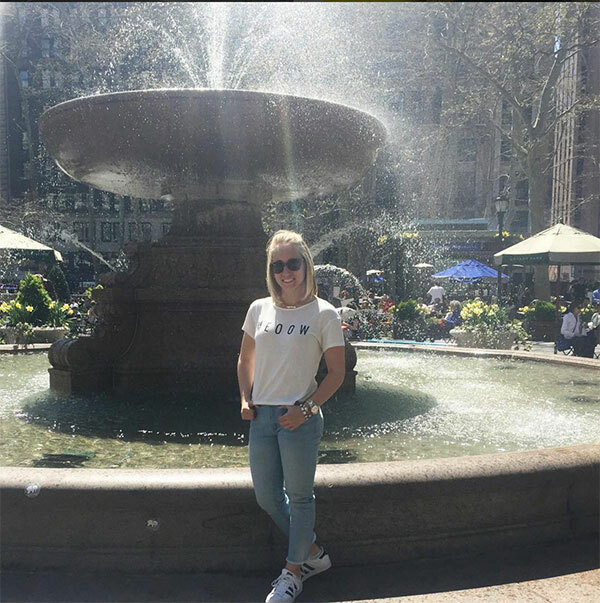 This spring and summer, we can add something else to the list: frayed hem jeans, which have become super popular in the last few weeks, and will probably stick around for a while. And there’s nothing wrong with that! 1. Frayed edges look really good against something dainty and feminine, like lace-up heels or flats. 2. 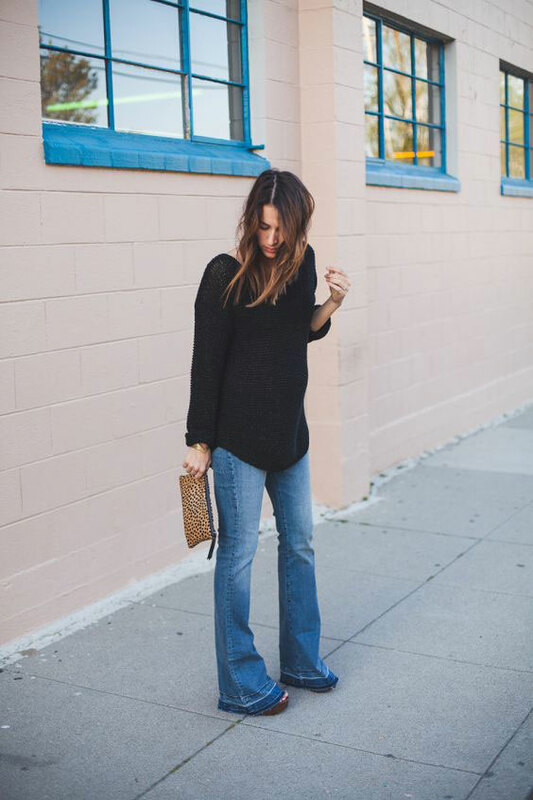 With cool ankle boots and a simple sweater, frayed edge jeans look casual but stylish at the same time. 3. Frayed edge flare jeans look like a super boho 70s throwback. Add heels and a tucked in shirt to keep your look streamlined. 4. 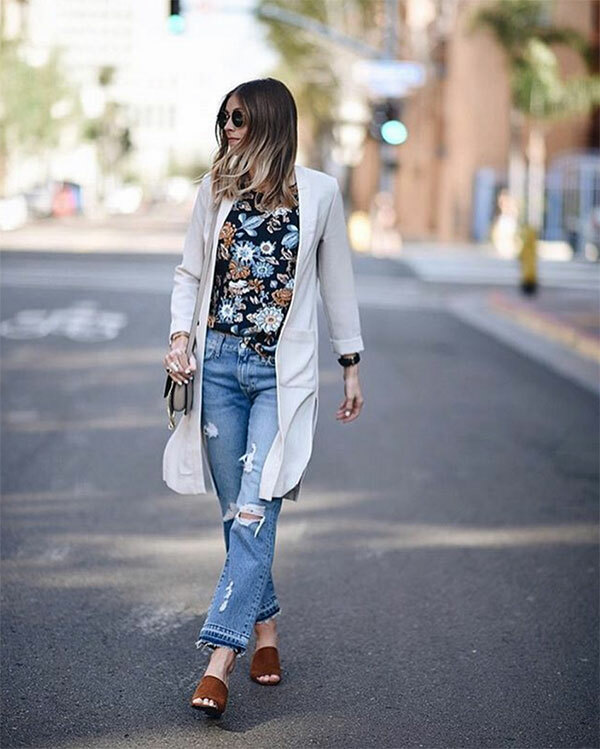 With chunky heeled sandals and a blazer in a muted color, frayed denim can look professional and very put together. 5. 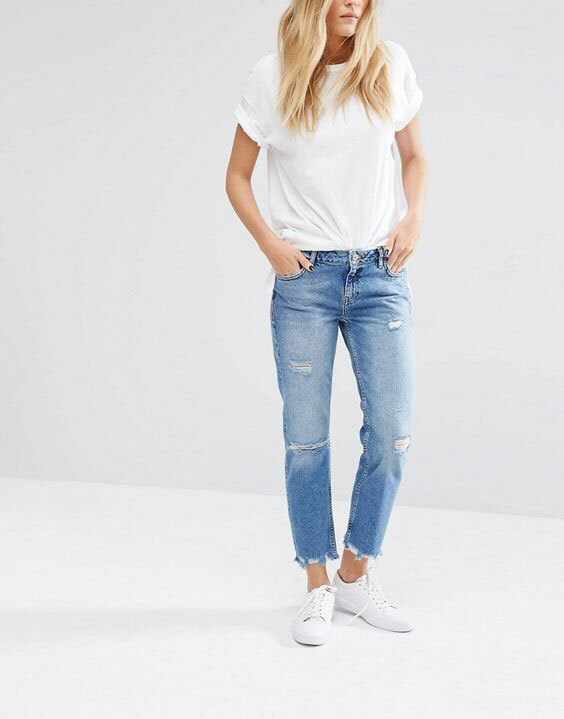 You can also opt for something super minimal, comfy, and easy: a white tee, loose frayed edge jeans, and white sneakers. 6. With slip on sneakers, a tank top, and a half-bun hairstyle, your frayed jeans are perfect for warm weekend days. 7. Add heeled mules, a floral shirt, and a long blazer or sweater for the perfect spring outfit. 8. Cropped versions of frayed edge jeans are super popular, as they show off the edges the most. Wear yours with bright flats and a feminine top. 9. 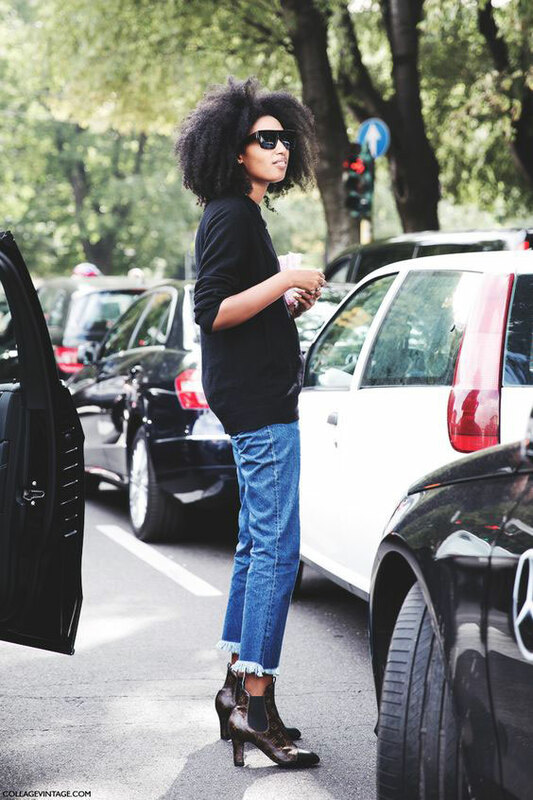 Or keep things super simple and wear your pair with a cute graphic tee and comfy sneakers. 10. 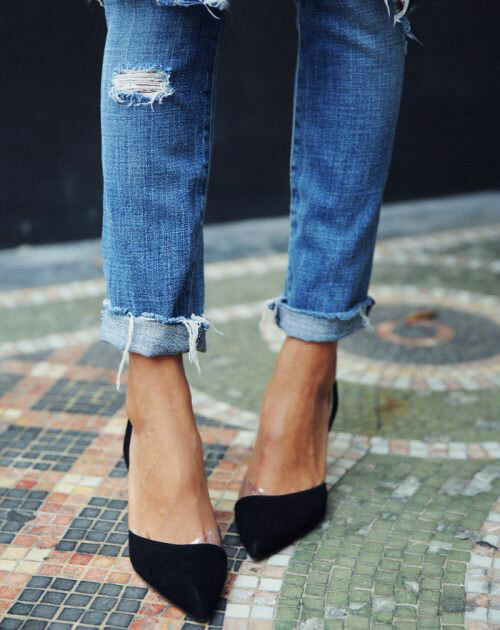 Frayed edges complete destroyed boyfriend jeans. To keep the outfit from looking chic and not messy, add a simple top and cool AF heels. 11. Make your raw denim edges even cooler by cuffing them up once. This creates more a cropped style and shows off your shoes – cute heels are a great choice. 12. 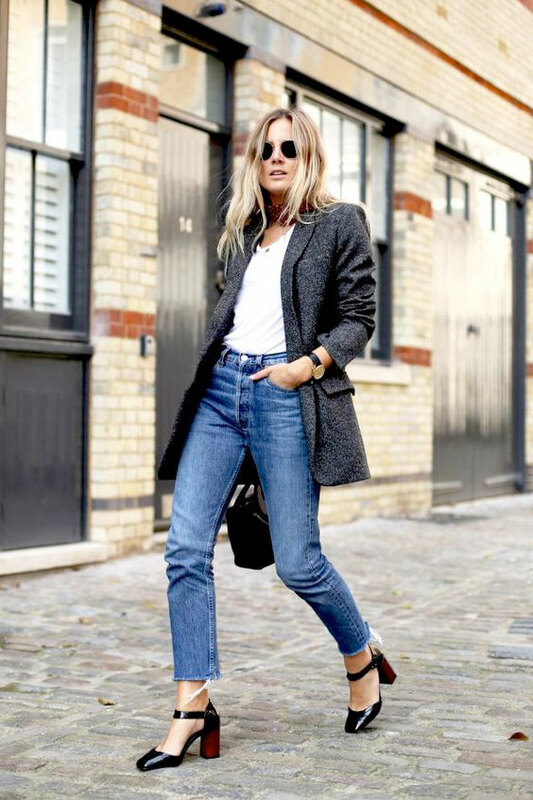 Flats, a long sweater or coat, and a simple t-shirt can be all you need with the right pair of frayed edge jeans. 13. 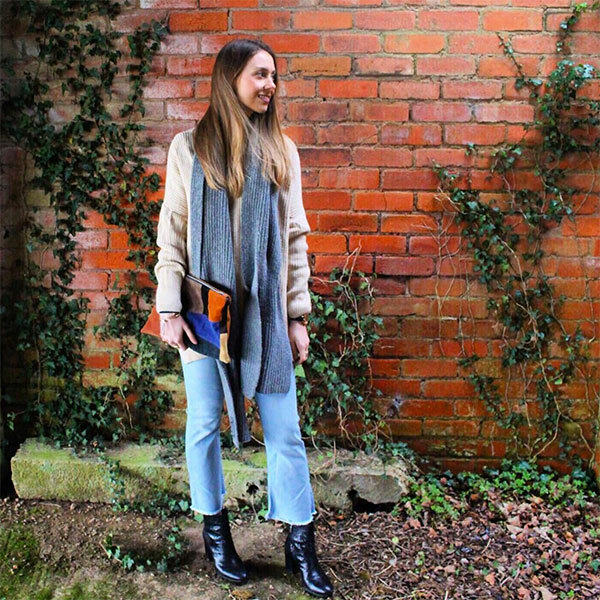 On chillier days, stay warm by adding a cool vest to your flared raw denim. Skinny heels, a trendy bag, and bright lipstick help this outfit look stylish instead of boring. 14. Instead of heels, flats, or sneakers, try wearing your cropped frayed hem jeans with tall ankle boots. The look is unexpected but really cool. 15. Try a whole bunch of spring trends at once: raw denim, an off-the-shoulder top, and a fringe bag. Heeled sandals complete the look. 16. 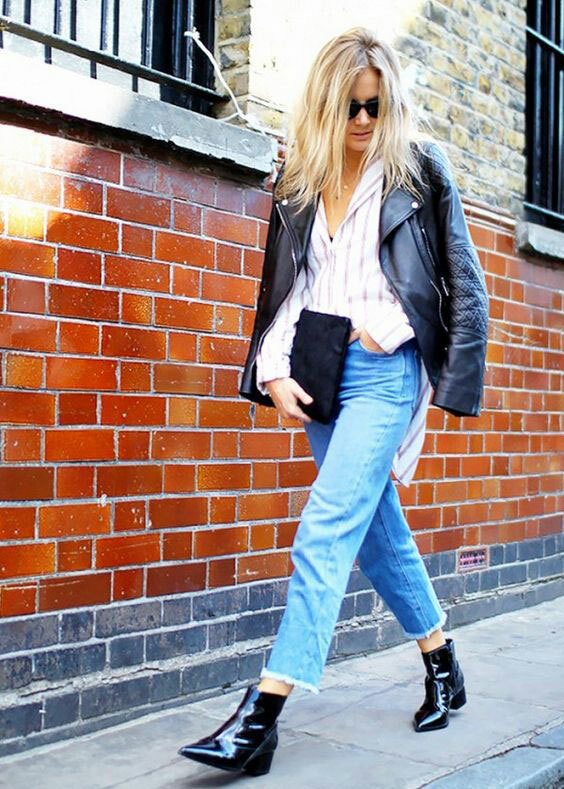 It doesn’t get much cooler than loose frayed jeans, ankle boots, and a leather jacket. 17. Go for a more boho vibe with frayed hem flare jeans so long that the frays end up looking accidental. A simple sweater and platforms pull this all together. 18. A crisp button-down shirt and simple heels keep frayed high-waist jeans looking professional. 19. 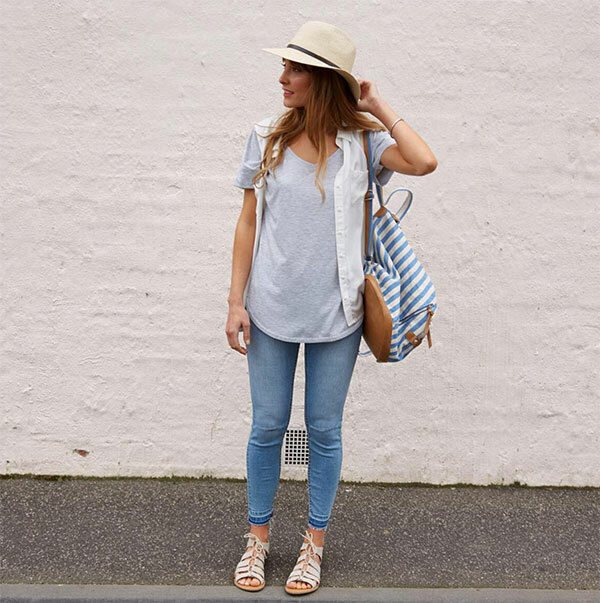 Flat sandals and a plain tee are great for spring weekends. Add a vest, a hat, and a cool backpack if you want to look more stylish. 20. 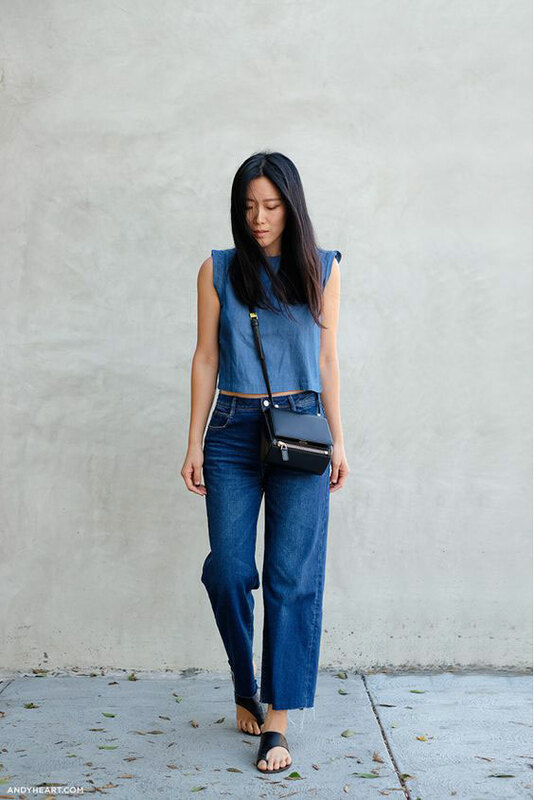 Frayed edge wide-leg jeans are super comfy and look so effortless with a cropped top and flat sandals.